The best location you will find with us. 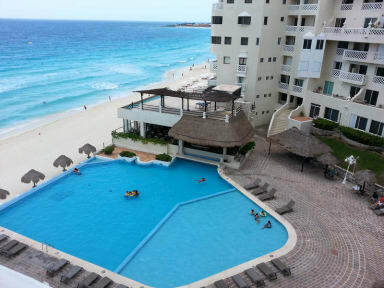 You are 10 minutes away from Cancun's International airport. You don't need to rent a vehicle, since in the hotel zone there is a 24-hr-bus service so you can go and visit every attraction in the hotel zone, a safe way for less. 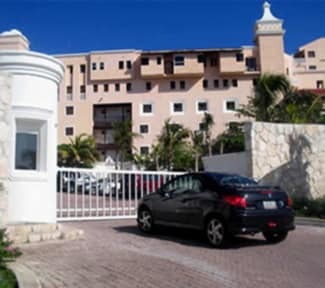 All rooms are (private & Studios), Ocean Front Balcony, Beach, 2 DBL Beds, Air Conditioning . Parasailing, wireless Internet, Daily Maid Service. We do not accept credit or debit cards so please pay in cash on arrival. Ótimo localização e com excelente custo beneficio!